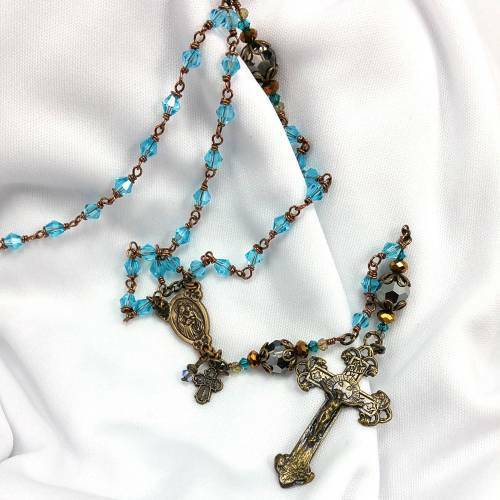 Aqua glass beads and double-capped dark pater beads create the body of this beautiful antiqued bronze rosary. Handmade by a Catholic family that has passed their talent on through their generations. The Sacred Heart of Jesus is on the centerpiece, while a 5-way cross and crystal bead dangle as charms from the center. The crucifix has an antiqued design. 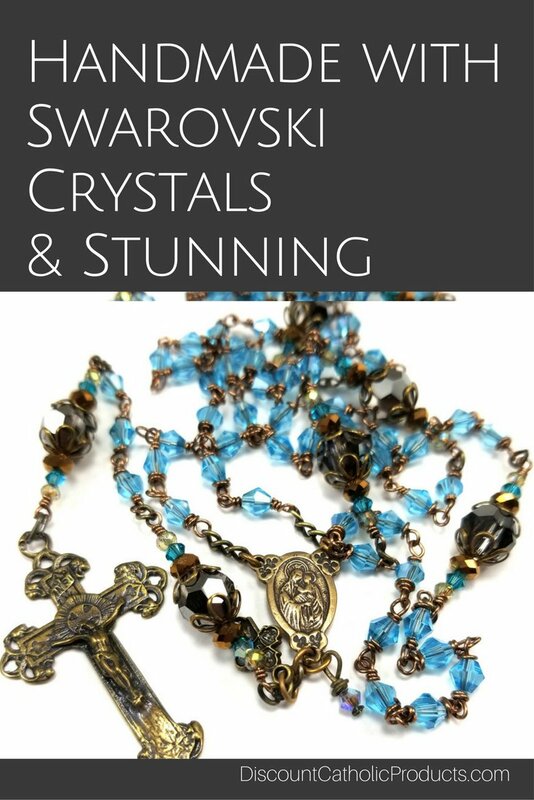 Every detail of this rosary has been carefully considered before being hand-crafted. A family heirloom. Gift boxed.